Personally, I’d say it was a bit too cold to be toe-dipping in the sea – but not for this little Sanderling! We had a lovely walk along the beach at Bracklesham Bay this afternoon and collected these wonderful Gastropods. 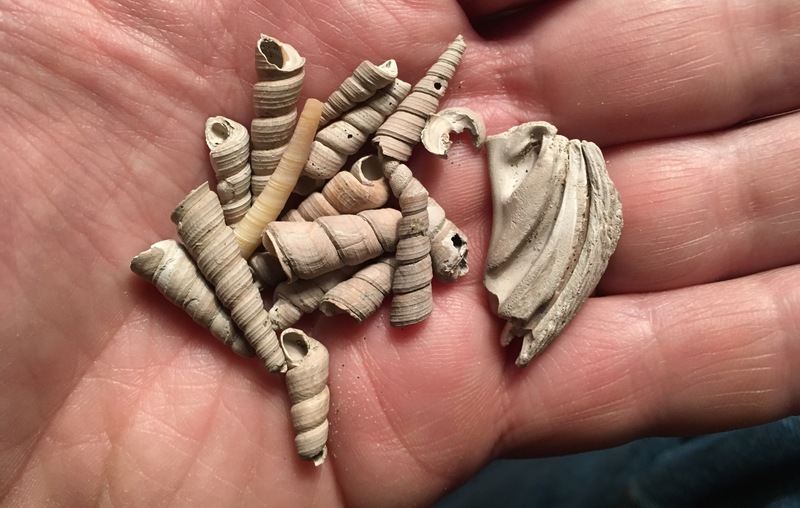 Hard to believe it, but 46 million years ago these marine snails were living in a tropical sea a few miles south of Chichester!